More about Fazer Chocolate Bar Gift Pack Our Fazer Chocolate Bar Gift Pack is the perfect present for any chocolate lover. Featuring 10 chocolate bars of our premium Fazer favorites, this flavorful variety is sure to satisfy any sweet tooth. I have ordered it before and ordered it again because it has a great selection of chocolate to please everyone. Yummy chocolate!! World's best I should say. Delicious chocolate that makes a great gift! None can compare with Fazer! Before trying my girlfriend told me it was the best chocolate and I have to agree! Very tasty high quality chocolate. I recommend to anyone. Fast shipping. Fazer, the best chocolate in the world! The absolute best chocolate I have ever tried. 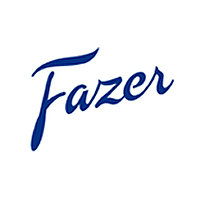 We purchase Fazer as a Christmas treat every year. Love it. The best chocolate in the world! Products was well packed and in a great condition. This is the best chocolate I've ever tasted. Hands down! I wish it didn't cost so much but it is worth it - just enjoy it while it lasts. I think this is seasonal. ProsSuch delish chocolate! It is absolutely addicting! Or is that a con?! So happy you can buy this from Finnstyle. The only other option is to have it shipped from Suomi. Ya, pretty darn good there, eh! ConsNot so much into the dark stuff eh! Super tasty chocolate!!! I love it! Order from Finnstyle all the time. 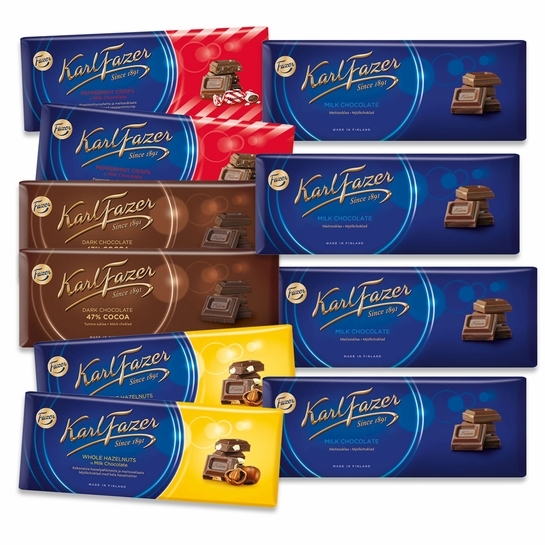 ProsI love it all There is NO bad Karl Fazer candy and chocolate !!!!!!!!!!!!!!! Finnish chocolate is some of the best chocolate you will ever taste. Excellent smooth taste. Be careful ---you'll eat too much! So glad the Fazer chocolates are back at FinnStyle. Great price on the gift package. ProsGood mix of the most popular Fazer chocolate bars. There is no comparison to this delisious chocolate. Favorite chocolate in the world!! ProsIt is a very welcome gift to family and friends.